Nikki Julien has accepted the position of Education Director at Southwest Wildlife! Along with her great smile, Nikki brings more than 20 years of experience as an educator in many settings and across all ages. We can hardly wait to learn from her! 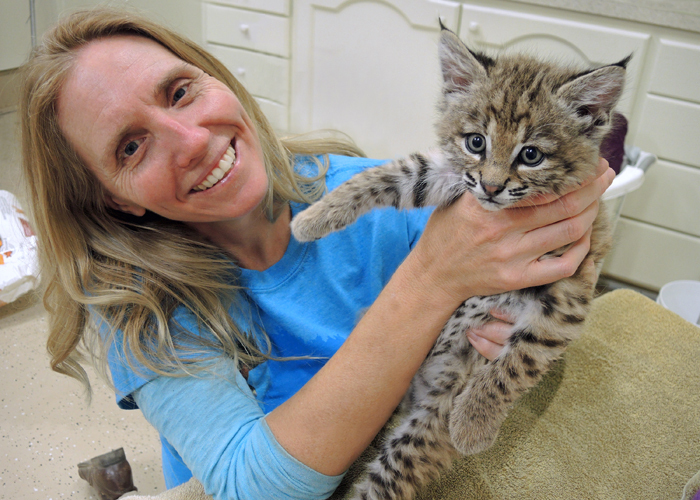 Please join us in welcoming Nikki and one of our newest residents, a non-releasable bobcat kitten named Catalina! Amy Barnhill, our former Director of Education, has moved on from SWCC to different work. We wish her well in her new adventures. Don’t forget to register for a tour if you’re in the mood to learn too!